FACT: In the months leading up to the 2018 midterms, the percent of Americans approving of the GOP's tax bill never broke 40 percent in Gallup polls. When Jay Inslee ran for governor of Washington back in 2012, he wasn't some milquetoast moderate afraid of controversy. As a congressman, he'd voted against the bank bailout. He'd opposed the Iraq War before it was cool. In the '90s, he'd voted for the assault-weapons ban even though it then cost him his re-election to Congress. But when it came to talking about tax hikes, he acted absolutely terrified. Even in a left-leaning state facing serious Recession-driven budget deficits and a court-ordered mandate to pour more money into education, he'd dodge question after question on that issue. And when he managed to be pinned down, he issued a promise. 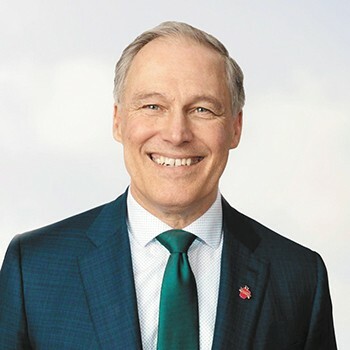 "I would veto anything that heads the wrong direction, and the wrong direction is new taxes in the state of Washington," Inslee said in 2012. It was a promise he didn't keep. But today, that timidity around taxes is gone. Now, as Inslee runs for president on a climate change platform, he's called for undoing the GOP tax cuts, pushed to eliminate tax breaks for fossil-fuel companies, denounced the Boeing tax breaks he'd championed in 2013 and has proudly pointed to his attempts to raise taxes in Washington state as evidence of his progressive record. Jay Inslee is calling for a fairer tax system. "We should have a fairer tax system for working people," Inslee told PBS NewsHour last month. "That's why I am proposing a capital gains tax in my state, because we need a fairer system to end inequality." And today, that sort of rhetoric puts Inslee square in the middle of Democrats. When the Democrats' biggest social media star, Rep. Alexandria Ocasio-Cortez, proposed taxing the very tippy-top-most slice of income from the most wealthy multimillionaires at 70 percent, she was met with waves of support. And that's kiddie pool stuff compared to the plunge proposed by presidential contender Sen. Elizabeth Warren. She wants to actually dip into the vaults of accumulated wealth by leveling an annual tax on those with over $50 million in assets. "When I talk about this, some rich guys scream, 'Class warfare!'" Warren said in her campaign announcement. "Well, let me tell you something: These same rich guys have been waging class warfare against hard-working people for decades. I say it's time to fight back!" Democrats have stopped seeing the tax issue as one of their biggest weaknesses and started seeing it as one of their sharpest weapons. Democrats have grown to love the idea of big tax hikes on the rich. So has America. Let's start at 1981. The economy was a mess. Inflation was soaring. And Republican Ronald Reagan had just crushed Jimmy Carter in one of the most lopsided Electoral College victories in history. Reagan, as everyone knows, had a big plan to cut taxes. But it was the House Democrats, as Politico pointed out recently, who proposed cutting the top marginal tax rate from 70 percent. Since FDR hiked taxes on the super rich in the middle of the Great Depression, the top marginal tax rate hadn't dipped below that 70 percent rate for 45 years. But because only the very top layer of a rich person's income was taxed at 70 percent — and because rich people could afford to pay savvy accountants to figure out how dodge it — hardly any revenue was being raised from that top tax bracket. So Democrats offered up a 50 percent rate as compromise, only to see Reagan take that and run with it. By the end of his second term, that top rate had been whittled down to a mere 28 percent. Sure, the deficit was exploding. But the economy was booming. And when Reagan's successor, George H.W. Bush, broke his promise that — read his lips — he wouldn't raise taxes, Democrat Bill Clinton used it to pummel him all the way to an election victory. With a ballooning national debt, Clinton bumped up taxes on the rich by around 4 percentage points in 1993. He sold it almost apologetically — "nobody likes tax increases," he said — arguing it was a necessary sacrifice that must be made to chip away at the budget deficit. First Lady Hillary Clinton, according to Frontline, had discouraged Clinton aides from taking a "divisive tone" or attacking the rich when pushing for the tax increase. By 1997, Clinton was proclaiming "the sun is rising in America again" while he signed a bipartisan balanced budget that included major cuts to capital gains and estate taxes. The fight between Republicans and Democrats became less about whether to cut taxes and more about which ones to cut. While George W. Bush campaigned on cutting taxes across the board, Democrat Al Gore promised he'd cut middle class taxes. Sen. John Kerry wanted to roll back part of the George W. Bush tax cuts and close some loopholes — but he also wanted to cut corporate taxes. Left-leaning groups were outgunned by anti-tax activists like Grover Norquist, who demanded that Republicans and moderate Democrats sign pledges never to raise taxes. "It put the fear of God in them," says Dennis Bailey, spokesman for Americans for Tax Fairness. "There was a lot of pressure on Congress to capitulate." Democrats, by contrast, found that even their favorite left-wing political TV shows could turn on them. "The top 1 percent of wage earners in this country pay for 22 percent of this country," fictional Democratic speechwriter Sam Seaborn proclaimed in a 2001 monologue on the West Wing. "Let's not call them names while they're doing it." But in 2008, some of those top 1 percent of wage earners helped tank the global economy. It wasn't just that Wall Street's convoluted financial games had led to the worst economic disaster since the Great Depression. It was that keeping the economy afloat meant heaping vast amounts of cash into many of the same institutions that got us into us mess. Everything was primed for an angry, populist wave demanding the greedy and foolish finally pay their fair share. And yet, at first, that didn't come from the left. It came from the right. In 2009, the Tea Party movement was sparked by a wealthy CNBC reporter's rant over how Obama's housing bailout was "subsidizing losers' mortgages." It wasn't fair, the argument went. The Tea Party outrage over the stimulus and bailouts soon morphed into a movement demanding ever more conservative purity from Republican politicians. Anti-tax pledge demands were as potent as ever. Then, two years into the Tea Party movement, the anti-corporate Canadian publication Adbusters put out a call for protestors infuriated about greed, corruption and inequality to occupy Manhattan's Zuccotti Park, to demand accountability from the wealthy and powerful. Similar Occupy protests popped up across the world. Kalle Lasn, editor in chief of Adbusters, tells the Inlander he remembers the crackling possibility of those early days of Occupy Wall Street — the feeling that they were, perhaps, on the cusp of revolution. "We thought that President Obama would be one of the luminaries that would come down to Zuccotti Park and talk to the occupiers and give us a boost," Lasn says. "That would be a game-changer." That, of course, never happened. Obama was never the wild-eyed, socialist radical the Tea Party painted him to be. Sure, he let the Bush tax cuts expire for the rich, but he wasn't exactly a class warrior. "He left Wall Street completely off the hook. He will go down in history as the timid president," Lasn says. "He didn't have that f——it-all feeling that Trump had. He was a very careful guy." New York protestors were evicted from the park within months. Winter came. The protest movement fizzled out, even as the Tea Party remained strong. But it had firmly stamped the political conversation with a powerful idea: The idea that the world is divided between all of us in the "99 percent" and the wealthiest in the "1 percent." "We politicized a whole generation," Lasn says. The economy improved in the years since Occupy. But the recovery was uneven. Jobs flourished in the richest zip codes while the struggling neighborhoods just kept on struggling. All that contributed to this percolating sense of dissatisfaction and anger, that feeling that you're getting screwed by somebody. Donald Trump responded with a stampede of scapegoats. Blame the Mexicans, he argued. Blame the illegals and the Chinese and the criminals and the globalist elites. But from the left, a statistic-spewing septuagenarian named Bernie Sanders offered up a different culprit: Blame the rich. Blame corporations, Wall Street fat cats, millionaires and billionaires. 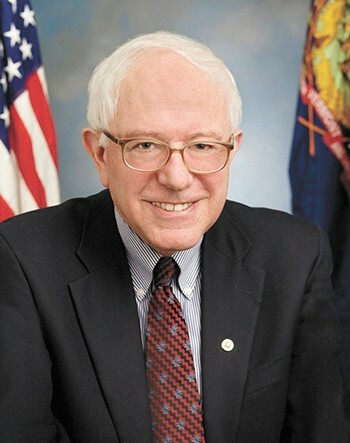 With his rumpled Doc Brown charisma, Sen. Sanders made the Occupy Wall Street framing of "the top 1 percent" into the chorus of his stump speech. Hillary Clinton, who had been giving highly paid speeches to Goldman Sachs and was arguing that "America is already great," was particularly ill-equipped to tap into the populist anger. Sanders had proudly talked about raising $15 trillion in taxes, not just on the rich, but on essentially everybody. Clinton's proposal to raise the top tax rate for those making over $4 million to 44 percent seemed meager in comparison. Clinton took the Democratic nomination, but Sanders, arguably, left a bigger impact on the party. "The way that he resonated with the 2016 election caught the attention of the other people in the Democratic Party," says Scott Parkinson, with Club for Growth, a national anti-tax group. "It became safer to talk about confiscation of wealth." Trump's victory over Hillary Clinton didn't send Democrats scrambling to try to win over moderate Republicans. To many Democrats, Trump's victory meant the party needed the sort of brash vision loud enough to be heard over Trump, a way to electrify the left the way Trump had with the right. "Nobody thinks that that incremental change is sufficient anymore," says Adam Ruben, campaign director with the national Economic Security Project. "The appetite for bold change has spread through the Democrats' primary field." During Trump's run, he hadn't offered a Mitt Romney-style campaign calling for belt-tightening and slashing government programs. He'd run promising to protect Medicare and Social Security. He'd even promised — falsely — that he would raise taxes on the rich. And yet, a Republican-controlled Congress immediately ran the same old play from the faded Reagan playbook: another tax cut. The GOP cut individual taxes across the board and drastically slashed the tax rate for corporations. But this time, the play didn't work. The public had become skeptical of the idea that tax cuts for rich people can supercharge the economy. A Quinnipiac poll after Trump's election found that most of the country — including 37 percent of Republicans — didn't believe reducing taxes on the wealthy would improve the economy and create more jobs. In the months leading up to the 2018 midterms, the percent of Americans approving of the tax bill never broke 40 percent in Gallup polls. Republican politicians in competitive races declined to run ads celebrating their party's signature achievement. "Even the people who wrote it ran away from it. A lot of them lost," says Dennis Bailey, the spokesman for Americans for Tax Fairness. "I think that was the real pivot point. ... In many races the Democrats were using the Tax Cuts and Jobs Act against their opponents." Activists were ecstatic by the way the script had been flipped. "After many years of being on the defensive on taxes, now we've reached the point where Democrats are taking the offensive," Bailey says. Arguably, Democrats always had the power to go on the offensive on taxes; they just had to learn to believe in themselves. Since Gallup started polling the question in 1992, the vast majority of Americans have always believed that upper-income people pay too little in taxes. Meanwhile, Democrats in far-left districts learned they could be punished for being too complacent. 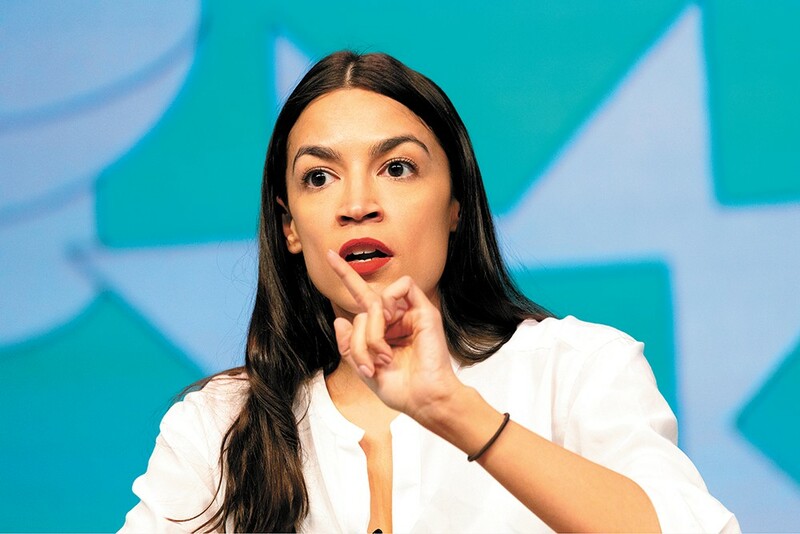 Last year, a New York Democrat incumbent with his eye on running for speaker of the House was abruptly unseated by a 29-year-old Latina calling herself a Democratic Socialist. Alexandria Ocasio-Cortez was like a hip young CW reboot of Sanders. "I have a feeling that she's the perfect child of Occupy Wall Street," Lasn says. "Some of the optimism and that willingness to go radical, I'm sure it infected her to some degree." She had a Trumpian skill with dominating media cycles, even — or especially — when she got something wrong. Since Ocasio-Cortez knew she had no seniority, she used that publicity to try to shift the window of acceptable debate. "The most powerful thing I can do is to create a national debate on marginal tax rates on the rich," she told Rolling Stone. Force ideas seen as far left into the mainstream, and suddenly liberals look like moderates. Ocasio-Cortez herself polls as divisively as Trump. But her tax proposal is widely popular. In a January Hill-HarrisX poll, 45 percent of Republicans support taxing the "10 millionth dollar and beyond" at 70 percent. And now, essentially every 2020 Democrat has to have a tax-hike plan. Sanders wants to crank up the estate tax to 77 percent. Sen. Kamala Harris wants to give middle-class families up to $6,000 a year through tax hikes and fees on big banks. Sen. Cory Booker wants to raise capital gains and estate taxes and hand low-income kids a big savings account. 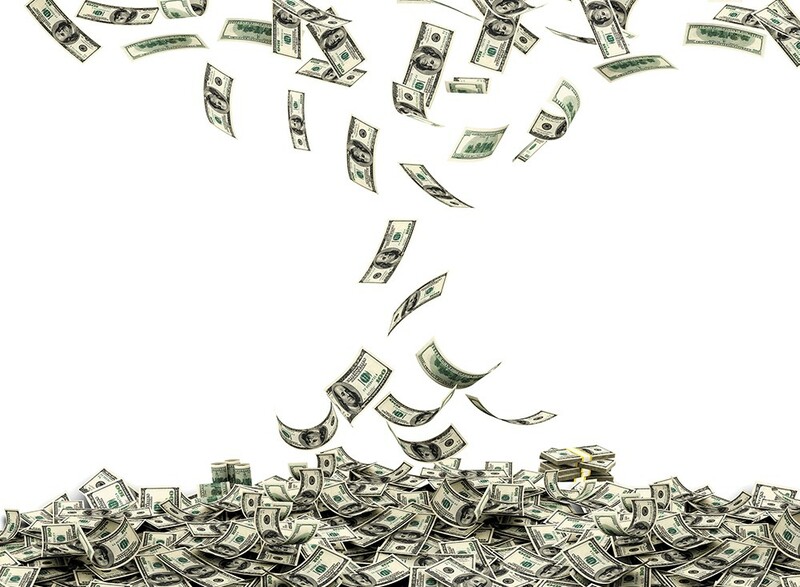 Meanwhile, Democrats are proposing ambitious programs like "Medicaid for All" and the "Green New Deal," which come with sky-high price tags attached. Many experts don't think it's entirely possible to pay for these types of programs sheerly by taxing the rich. Yet because Republicans have sent deficits soaring so many times with tax cuts, it's become tougher and tougher for the GOP to make the "fiscal responsibility" argument. Still, it's one thing for Democrats to make a bold proposal. It's another thing to have the guts and the political power to actually pass it into law. "Those are shiny objects for the progressive base. They don't stand a chance of actually being signed into law by any president," says Scott Parkinson with the Club for Growth. "I don't see big tax increases ever happening in America unless the U.S. economy collapses, and we shift away from capitalism." But Lasn, on the left, doesn't discount that kind of disaster. He describes a kind of mounting dread among the youth that he doubts the Democrats are up to the task to handle. There's the drumbeat of dire climate forecasts. There's the nagging sense that the foundation of the global financial system remains unstable. But that, Lasn suggests, may be the best chance to really push for more radical ideas — maybe even a third party that can do what the Democrats are too afraid to do. The original print version of this article was headlined "How Democrats Stopped Worrying and Learned to Love Taxing the Rich"